The minor league rosters are (nearly) set, which makes it about time to talk about the 2012 outlook for each of the Rays full season affiliations. Therefore, I've graded each roster part (rotation, bullpen, catching, infield, outfield) on a scale from A (best) to F (worst). 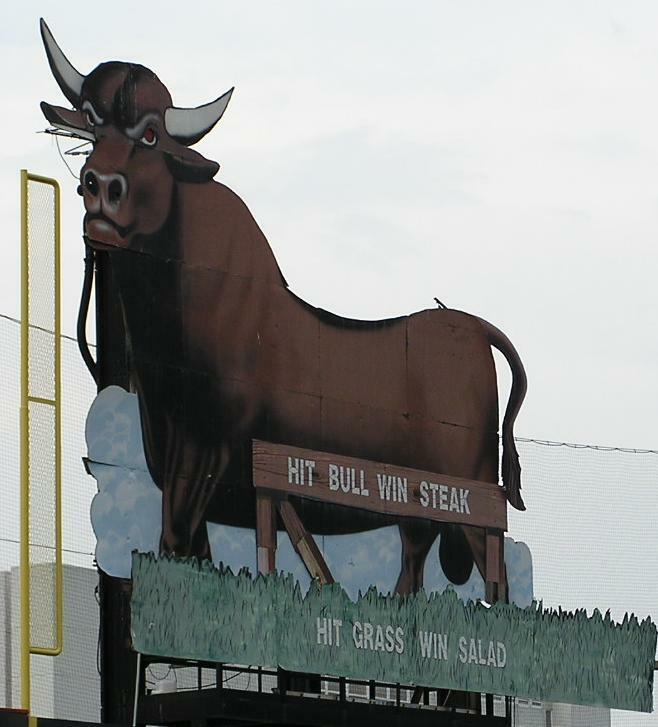 First in-line are the Durham Bulls (check our depth chart for the current roster). Feel free to share your thoughts about the Bulls in the comment section. Alex Cobb, Alex Torres and Chris Archer are three of the best young starters in the Rays organisation. At least Cobb and Torres (despite their question marks: Is Cobb the pitcher he was before the injury?, Can Torres improve his control and command?) would start the season in the bigs for a number of major league organisations. Matt Torra and especially Bryan Augenstein are (more) veteran starters who should complement the younger pitchers very well. Together, they form an above average AAA rotation for the Bulls. The bullpen might change a bit till opening day as Kyle Farnsworth's injury seems to cause a DL stint and therefore one of Brandon Gomes/Cesar Ramos/Dane De la Rosa/Josh Lueke might open the season in the majors. Nevertheless, the Rays once again have excellent bullpen depth in AAA, giving the Bulls lots of high-quality late inning options. The quartett mentioned above and Romulo Sanchez, who was impressive in spring training, have the potential to dominate AAA hitting in '12. Johnny Nunez (good potential), Ryan Reid and Marquis Fleming are all solid options to round out the pen. Overall, this group should be above average despite the substraction of flame-thrower Matt Bush. Despite Robinson Chirino's DL stint, the Bulls have solid options behind the plate with Nevin Ashley and Chris Gimenez. While Gimenez' success at the AA level hasn't translated to the AAA (and MLB) yet, his bat still is his calling card. On the other hand, while being solid offensively, Nevin Ashley's main asset is his top-notch defense. Together they form an average catching tandem which could become above average when Robinson Chirinos returns. Of the 10 best Bulls hitters in '11 according to OPS, only Brandon Guyer is with the team on '12 opening day. And while the Rays brought in some bats who should be above average (Juan Miranda, Will Rhymes, Matt Mangini and Jeff Salazar), the power of IL-player of the year Russ Canzler and Dan Johnson is missing. The infield, nevertheless, should at least be average with solid starting options at the corner (Miranda and Mangini) and with a major league proven second basemand in Will Rhymes as well as a hopefully-again-improving Tim Beckham at short. Shawn O'Malley (hopefully injury-free) and Leslie Anderson are solid backups. While I'm very much rooting for Stephen Vogt in the majors, I'm a bit disappointed Brandon Guyer didn't get the call. He could have proven himself as the most-days RFer while also backing up DJ and Matt Joyce. Then, Ben Zobrist (at least every 2nd game or so) could have stayed at second with Jeff Keppinger playing the other half. Be as it is, Brandon Guyer is the bright spot in a Bulls outfield which lacks fire-power. Jeff Salazar is solid offensively and excellent defensively and therefore an excellent pickup by the Rays. Kyle Hudson provides some OBP, defense and speed while lacking in other departments and Jesus Feliciano doesn't project as much more as a 4th outfielder in AAA. In the minor leagues, especially in AAA, the roster fluctuation during one season is enourmous. And despite solid depth in AA in some areas (infield with Lee, Bortnick, Figueroa and Wrigley; outfield with Velazquez and Kang; rotation with Colome), injuries in the majors as well as AAA will have a negative influence on the performance of the team. Therefore, and due to the lack of offensive power, I think that the '12 Bulls won't reach the exceptional results they reached in the last 3 years. I believe that they will be average or a tick above average with a 70-80 wins total. This lineup is missing pop. Need a stud like Wrigley to spice up the offense and provide great versatility to the defense. Here's some facts that back this up - of the 12 position players, 6 were free agents, 3 were acquired by trade and only 3 were draft picks. The average tenure with the TB organization: 2 years. An ugly picture that belies all the boasting about the quality of the TB farm system. Correction - with Vogt and Salazar swapping spots, the average tenure drops to 1.6 years. I'm as worried as you about lack of pop in the position players, but I don't see as sharp a contrast with last year. Yes, Canzler could hit, and he was a terrific guy, but he never found a position he could play well. And DJ was simply not very strong either. What I was very pleased to note in my first impressions yesterday was the lack of body language that said, "I don't want/deserve to be here." I think these guys are ready to play baseball. So I'm hoping for a good year for the Bulls, assuming that Tampa Bay leaves them alone once the season starts (unlikely). More first impressions later today over at WDBB.